The CROMO POLO is the ideal model for the elegant sportsman or woman who demands a combination of protection, elegance and style. The most contemporary materials and details successfully convey all the charm of the ancient game of polo - the sport of kings and king of sports. 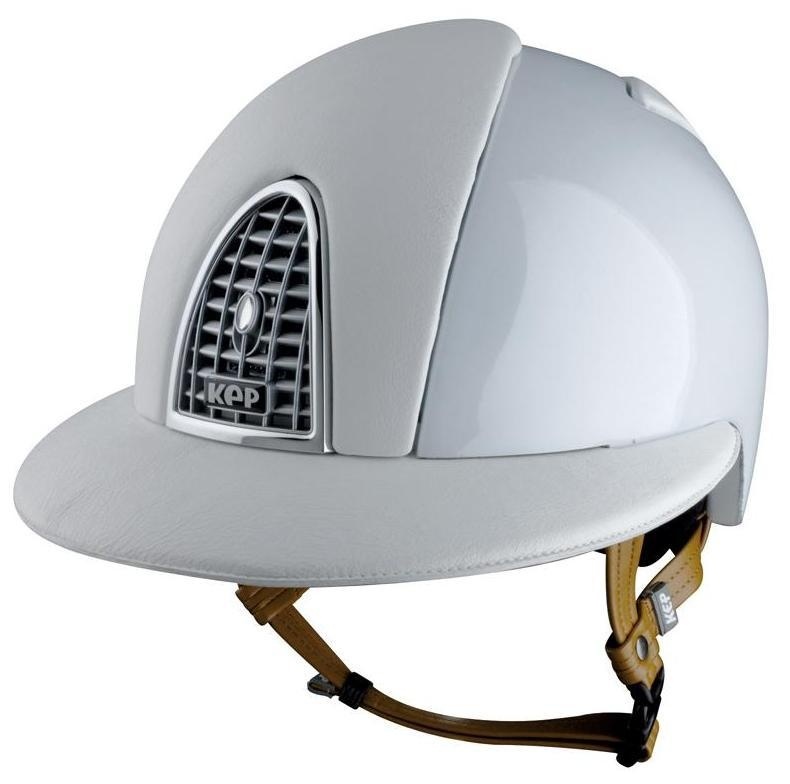 The unusual feature of this helmet is the wide visor, which can be used on all the other helmets in the KEP Italia range: much in demand for show jumping, amongst others, it provides an added touch of elegance, as well as ensuring protection from sunlight and rain. The CROMO POLO helmets also feature the classic Air Control System, the ventilation system developed exclusively by KEP Italia to ensure optimum internal temperature based on atmospheric conditions. This system, together with the lightweight design of the helmet, provides the rider with enhanced comfort. Chin strap with five attachment points to the shell of the helmet. Internal Coolmax lining (for maximum breathability and comfort) that is detachable and can be washed by hand in cold water or in the machine at 30°C. Customisable using airbrushing or other techniques.